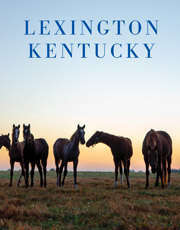 Build your group tour around a special event in Lexington. There are many to choose from. Here are two that happen every year, and that are guaranteed to please your customers. For more information, please register or consult with us at 800-848-1224. Joining the throngs at Churchill Downs isn&apos;t the only way to enjoy "the most exciting two minutes in sports." Lexington&apos;s famous Keeneland Race Course, one of the most beautiful and historic tracks in the nation, now offers Kentucky Derby simulcast festivities with a decidedly different, and distinctively Bluegrass, personality. Along with intertrack wagering and wide-screen TV broadcasting, Keeneland offers buffet dining indoors and picnicking outdoors. The shaded Paddock area is the site for big band musicians, old-fashioned popcorn stands and other food vendors, and refreshment stands where souvenir Kentucky Derby glasses and mint juleps will be available. Parking and admission are free. Indoor dining rates vary and reservations must be made in advance. Lexington is a holiday deLIGHT! Sparkling scenarios and animated light displays make the Kentucky Horse Park&apos;s Southern Lights a "must-see" holiday attraction. The park&apos;s holiday extravaganza is the largest show of its kind in Kentucky. Along a two and a half mile driving route through the park, groups will enjoy elaborate light displays, many with a Kentucky theme. 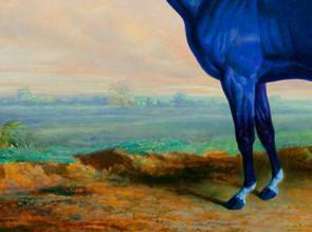 Horses of light "race" as a crowd cheers them on, while glimmering mares and foals graze. Snowflakes, stars, a "gingerbread" house, elves and a moving train are all dazzling creations of colored lights sure to elicit "oohs" and "aahs" along the entire route. Beyond the award-winning bright lights, Southern Lights&apos; guests will find entertainment, arts and crafts, food and an array of holiday collectibles in the walk-through area. Special musical entertainment and exhibits are scheduled during this favorite holiday event. Learn even more about Southern Lights at www.southernlightsky.org. See Calendar of Events "November" for this year&apos;s dates for Southern Lights.